"I am very happy with DKPSystem.com. It has already saved me tons of time, great job." Slay More Dragons and Look Good Doing it! 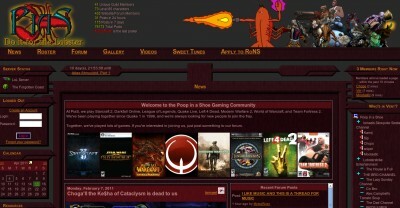 Flexible, content-heavy sites that can fit the need of any size guild or gaming community. Slay more bosses, down more tangos, melt more faces, and grow your guild! 14-day free trial. 30-day money back guarantee! Track attendance and items, tally the points into DKP, EPGP, and more. Simplify your tracking with our WoW mod. Sister guilds, Alt guilds, multi-game gaming communities: all these are a snap with our roster functionality. Our revolutionary Thread Tags forum system streamlines navigation. Use one of our drop-in templates, or completely customize your site with HTML and CSS. Detailed character profiles with imports from the armory and our WoW profiler mod. Picture Galleries, Wikis, Raid Progression, Recruitment, Event Calendars, Item links, Chatroom, and so much more. Both WoW and EQ have had item link improvements to help you disambiguate between items of the same name, but of different item levels, or "Types" (such as Wow's Flex, Heroic, Warforged, etc).